Some of you might remember back in March when we took a quick look at the Top Greener USB-C wall outlet. Well, late yesterday the price over at Amazon hit an all-time low. If the idea of being able to plug your devices into a 2.4A USB-A and 3A USB-C compatible wall outlet sounds appealing, for precisely $23.96, the experience can be yours. Keep in mind this isn't just a charger, you actually have to install it into a receptacle inside your wall, either by running a new line and junction box or by replacing an existing one. Thankfully, the latter is not difficult to do. Our own Artem purchased one of these for his own use, and so far he seems to have had no objections to its performance. 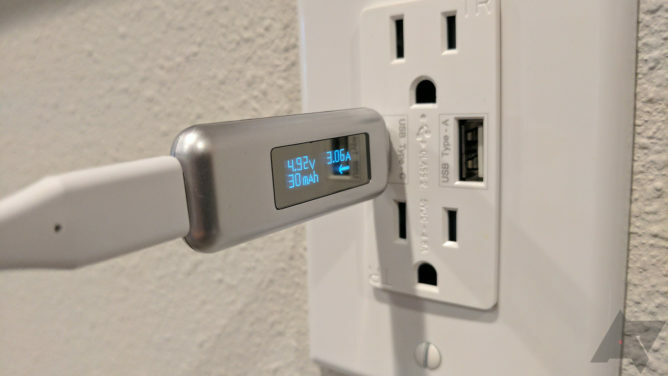 The outlet spits a combined 4.8A, with 3A max on the USB-C port, and 2.4A on the USB-A port. However, you'll need a cable with the correct set of resistors to pull the higher 3A in the USB-PD 2.0 spec over USB-C. Most recent devices like the Google Pixel and USB-C powered Chromebooks will be able to take advantage of that extra little bit of power. Then you can top-up those devices wherever these outlets may be in your home, all without needing to worry about where you left a charger. 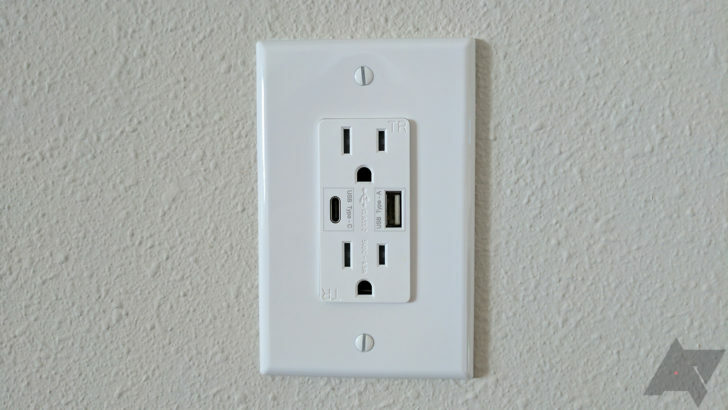 Even better, if you pick up a few of these and need wall plates, you can get 10% off a 10 pack of flexible, screwless wall plates when you buy one or more of the outlets. If I didn't rent, I'd probably pick up a few of these, myself. Google says the Allo desktop client is coming in a "few more weeks"